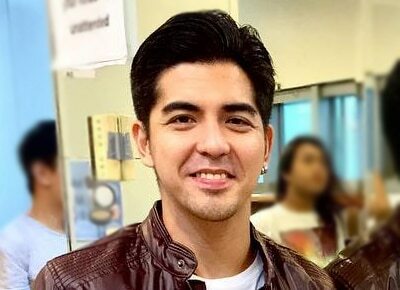 Mark Herras took to his Instagram account to clarify that he and girlfriend Wyn Marquez are not yet engaged. One of his post that contained an emoticon of a ring and which had them kissing each other has inspired rumors that he has already asked for Wyn’s hand in marriage. But the actor explained in a different post that he hasn’t done such thing while they were having a vacation in Japan. “FYI.... nag celebrate kame ng Valentine's day sa japan :) nagenjoy kaya nga #thebestvacationeveeeeeeeeeer!!!! Anebe!” he started. In what seemed like an effort to counter presumptions about his new photo, Mark continued to explain what they were merely praying on the photo. The hunky actor likewise cleared the rumors that Joey Marquez’s daughter is already pregnant. “FYI she's not pregnant wag kasi masydo assuming ang mga tao,” he said. Mark also apologized for the said posts and explained why that engagement is not happening anytime soon. “She's not ready she has a lot of plans pa sa buhay at gusto kung matupad nya lahat un... So thank you sa mga good comments & thank you din sa mga bad comments... :)” he ended. The two became a couple just last year.